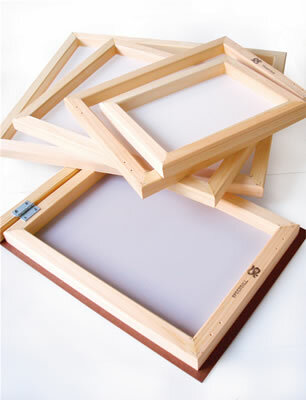 Smooth, wooden frame securely fastened together. Screen fabric is cord-locked in grooves and can be tightened or replaced. 12xx multifilament screen fabric great for general screen printing.